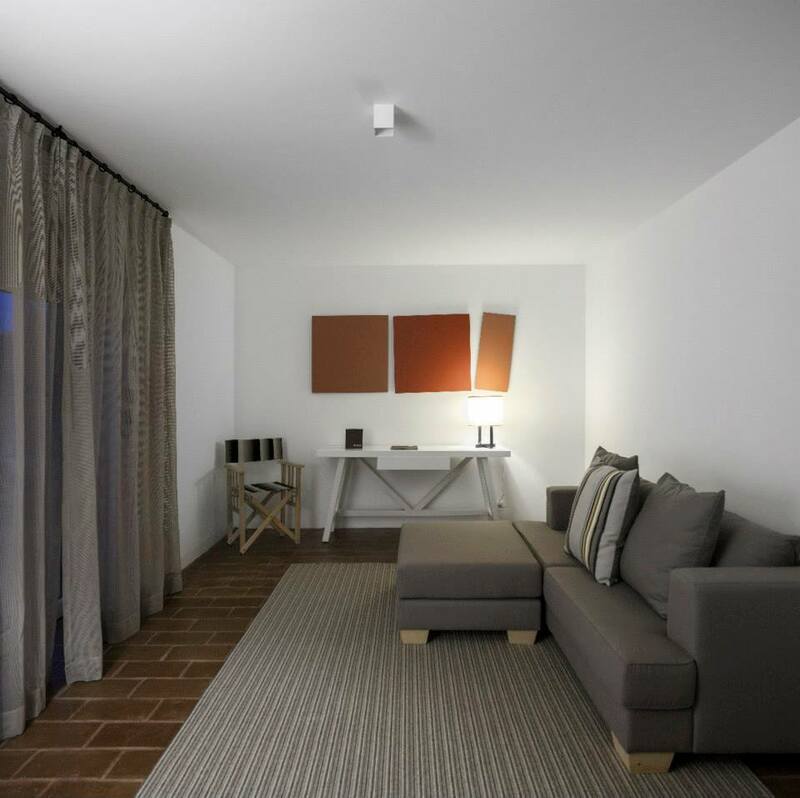 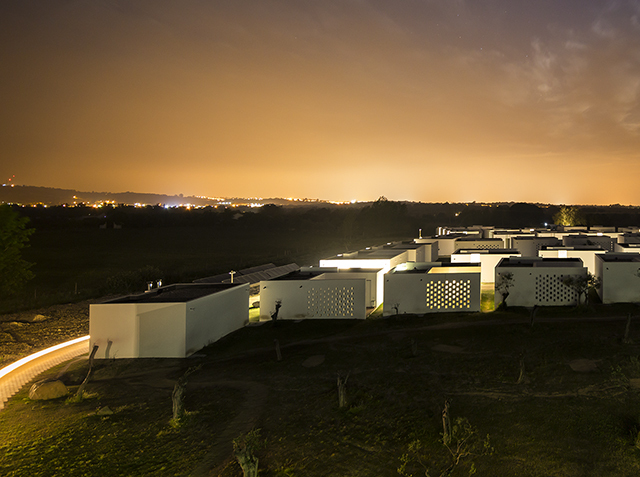 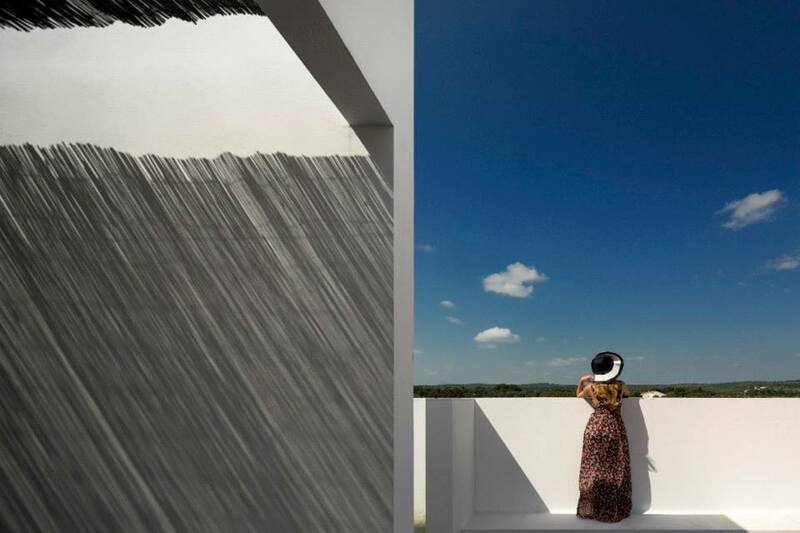 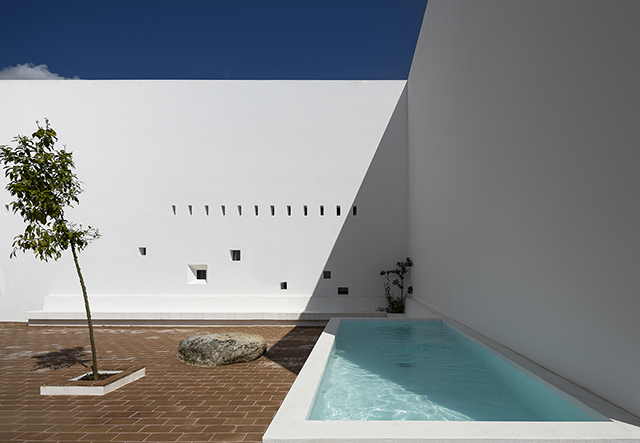 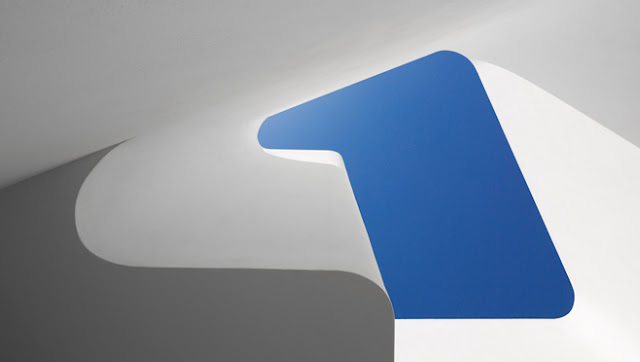 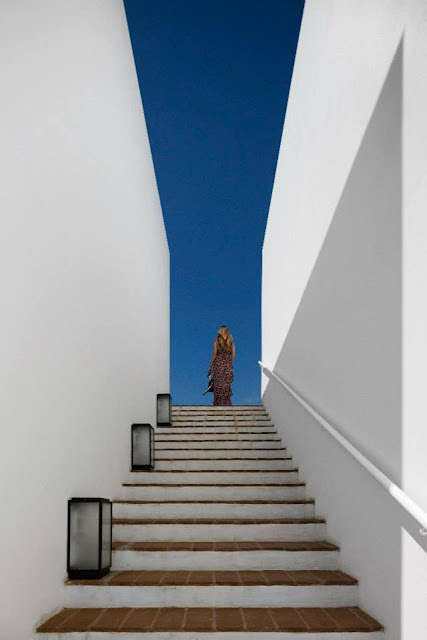 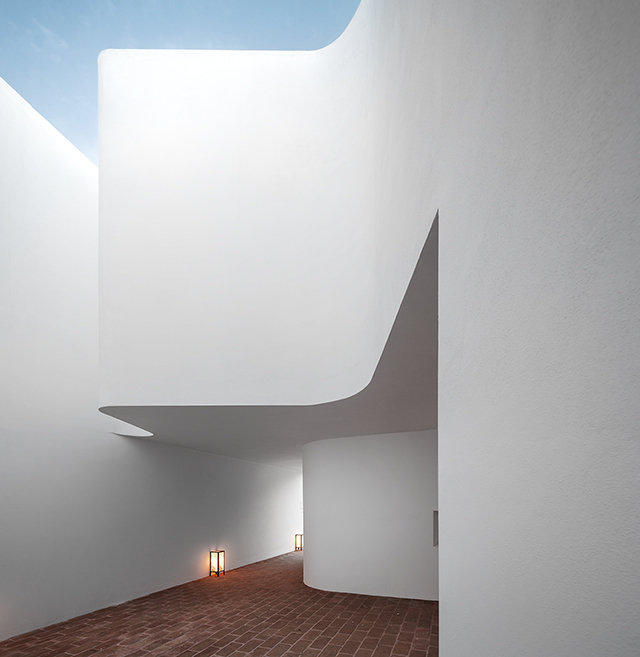 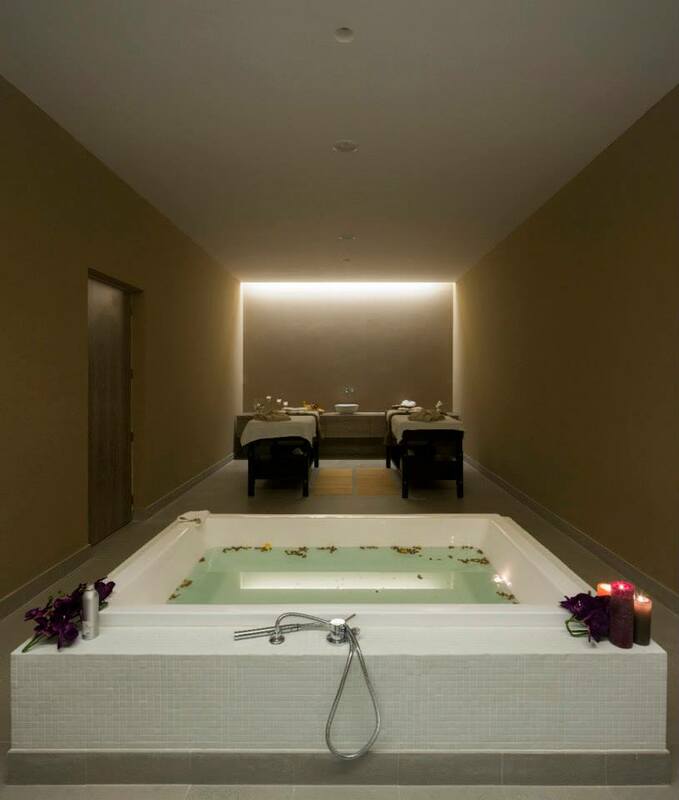 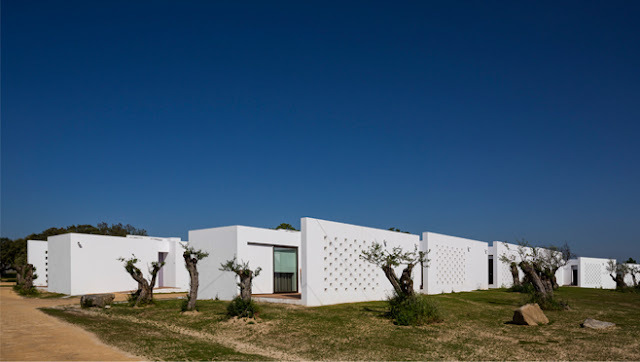 Ecorkhotel & Spa, located in Évora District in southern Portugal, is a recently completed 4 star hotel, designed by architect José Carlos Cruz. Évora is a UNESCO World Heritage Site, due to its rich history and well-preserved old town center, enclosed by ancient medieval walls. 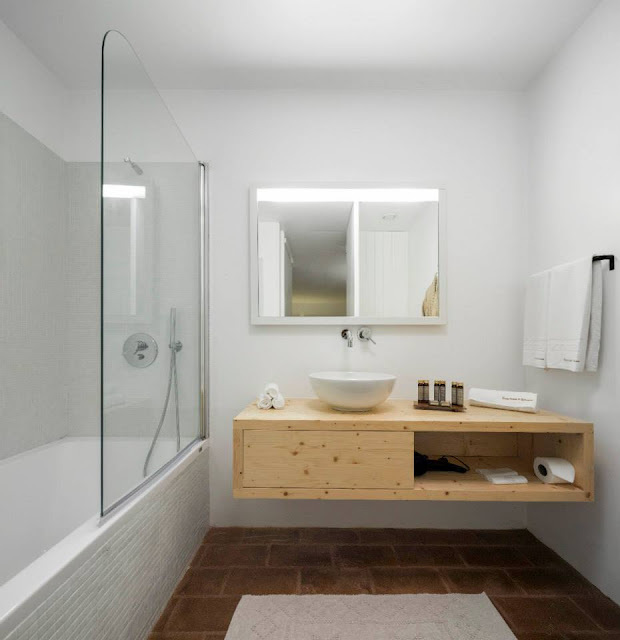 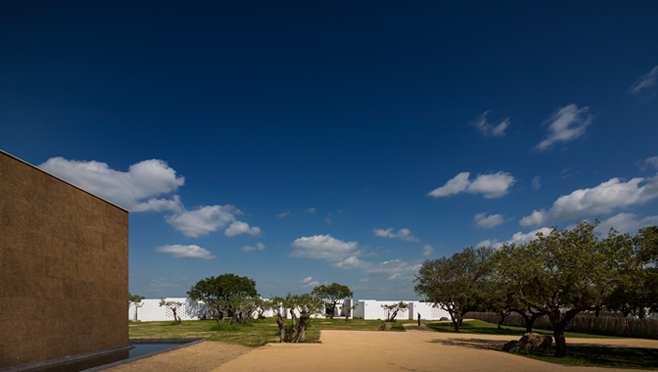 The eco-minded hotel was created with respect for the local history and consideration for nature. 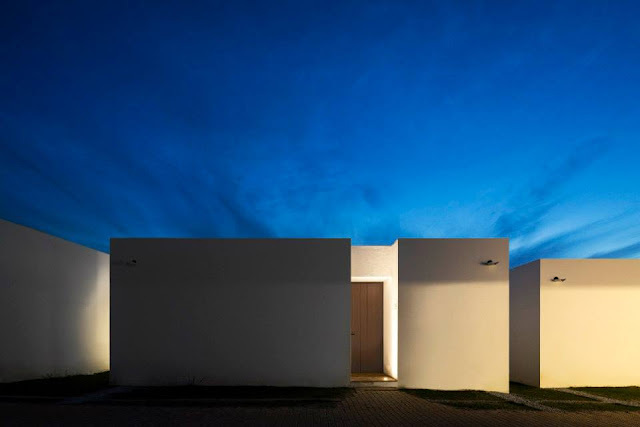 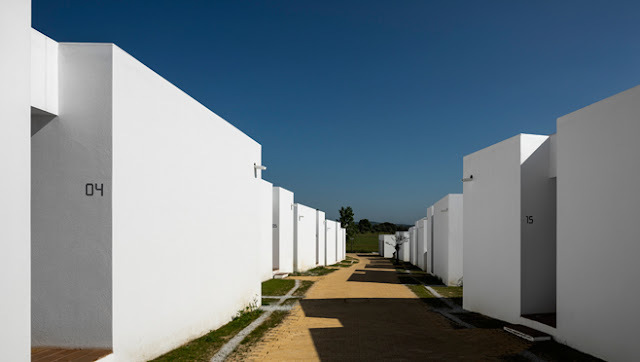 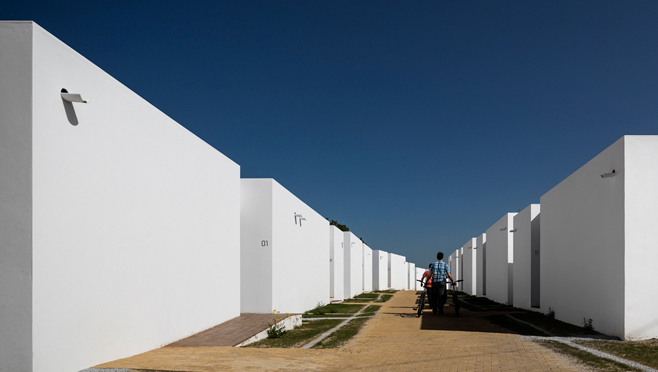 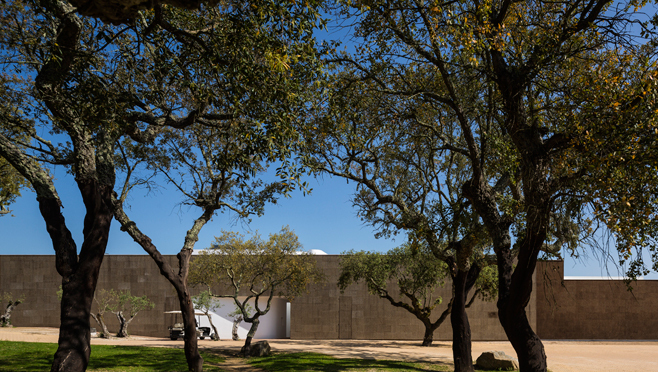 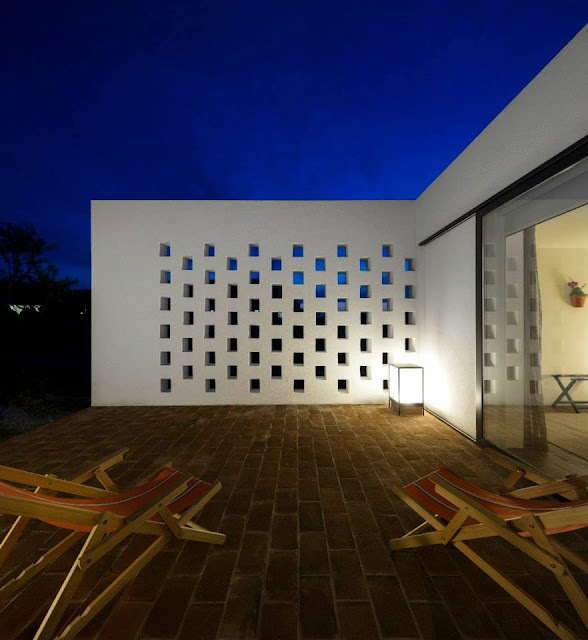 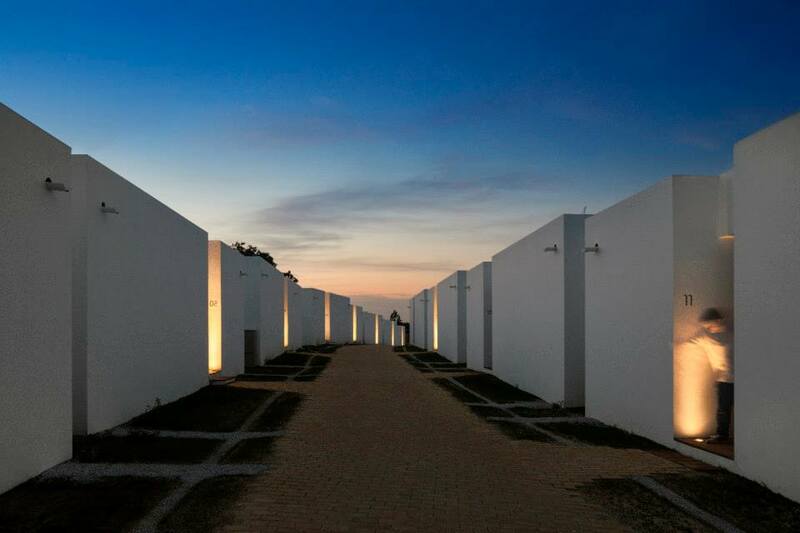 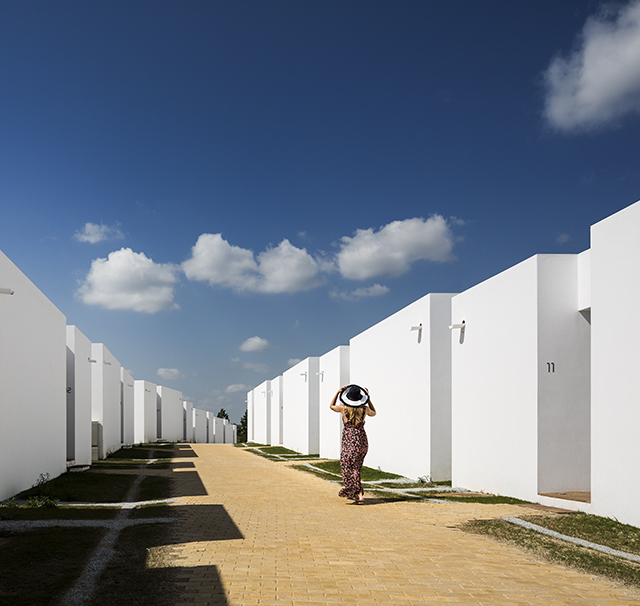 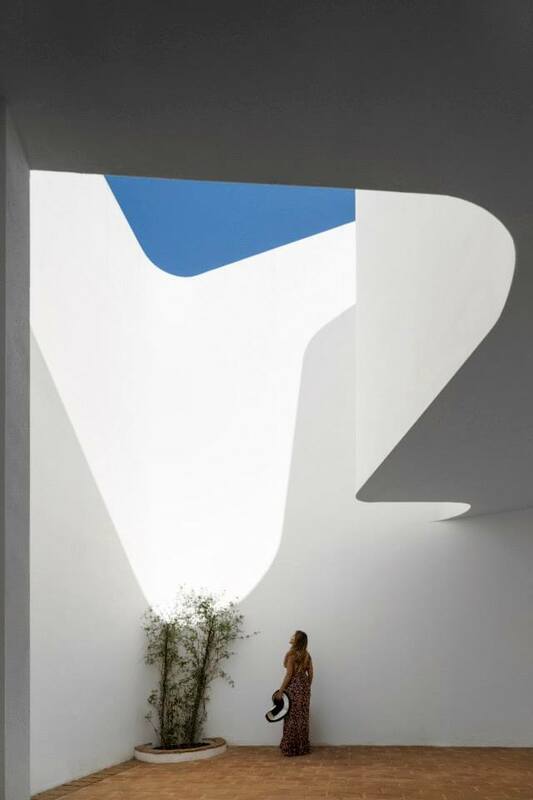 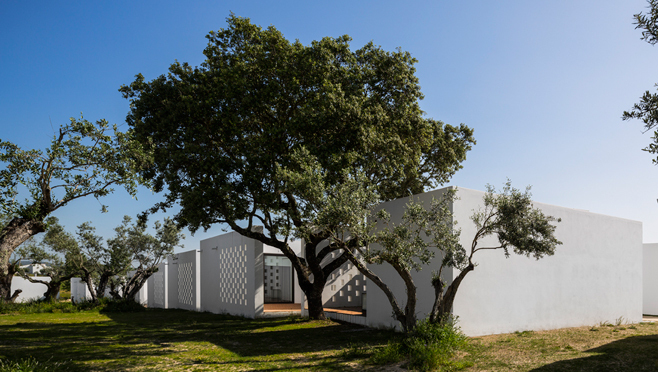 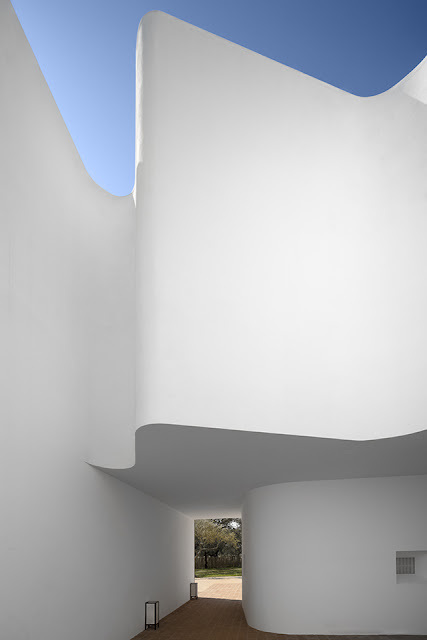 It has 56 private suites in the form of connected, minimalist cubic white villas, each with its private terrace, surrounded by centenary olive trees. 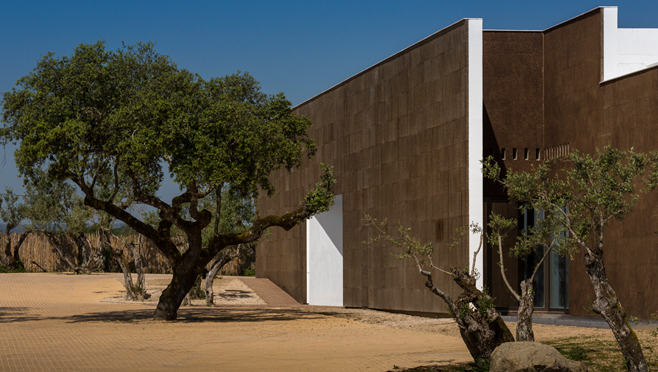 The main building uses recycled cork as its coating, becoming one of the rare examples of buildings in the world to have this feature and the first in the hospitality sector. 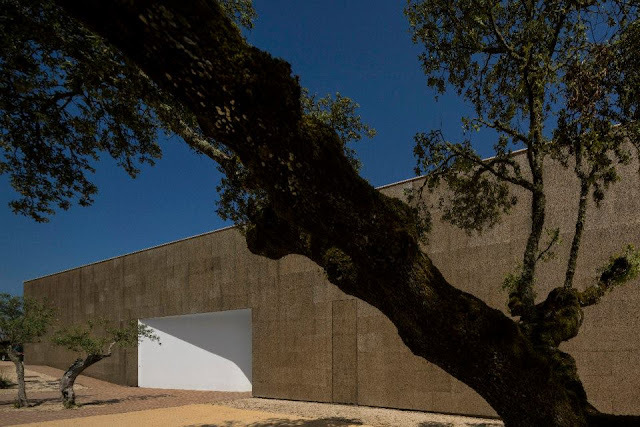 Cork offers thermic and acoustic insulation, optimizing energy efficiency while adding a natural touch to the building itself. 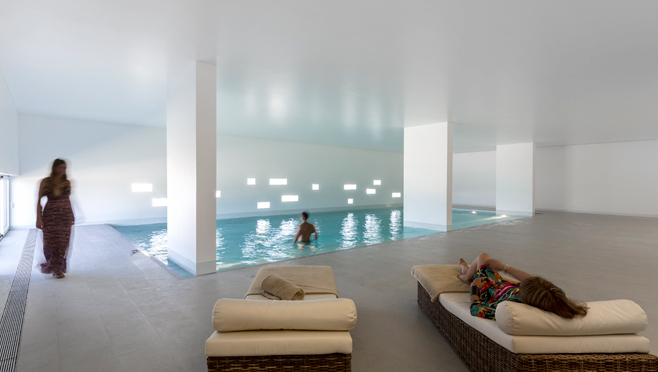 The hotel also uses geothermal energy to heat the main building and swimming pools and solar panels for water heating.